Municipal Tax Services, LLC is committed to assisting local governments in the reclamation of tax dollars through its diligent and professional investigative efforts. Our process of identifying the potential taxpayer and acquiring the necessary information to pursue assessment of their property undergoes constant refinement. These refinements not only increase the speed at which we function but enhance the degree of accuracy and significantly increase the capacity of information we process in a short period of time. Our program is designed to assist the assessor and their individual criterion established at the outset and adhered to throughout the contract period unless specifically changed by the assessor. We constantly seek the opinions of assessors and independent counsel as laws pertaining to assessments are enacted or amended. In short, the assessor maintains complete control and is the final authority under which we perform our service. 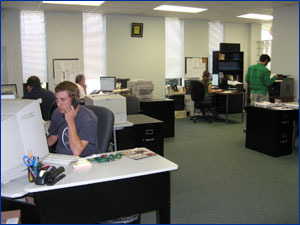 Municipal Tax Services, LLC is fully licensed and insured to perform this specific service. Since we routinely amass and manage information of a proprietary and confidential nature, our company is fully insured above the limits of liability normally requested by municipalities. Prior to hiring, every employee is required to undergo a rigorous screening process. This process includes a thorough criminal background check and a demonstration that their motor vehicles are properly registered and their personal property, if any, is accurately reported and declared. Further, all employees are required to sign non-disclosure, non-compete and confidentiality agreements with MTS. In addition, they are required to sign an affidavit of tax compliance attesting that they are current and will remain current, with all federal, state and local tax obligations. Failure to maintain such current tax status will result in their termination of employment with Municipal Tax Services, LLC.